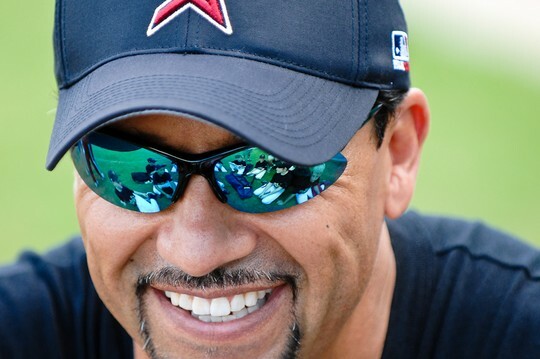 Coaching Baseball! And I didn't get a personal invitation from Linda. Ok. Got it. Thanks! Coach Baseball, Basketball and Soccer. Play Baseball and Golf. I have a great wife, great kids and still play baseball. Cruising around town with Cobos and keeping him out of trouble. Tomas perfecting his swing, at 7 years old. 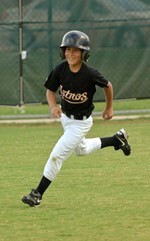 Tomas in his Homerun Trot at 8 years old! Two Intense Raptors ready to devour opponent. Andres is six.